News Roundup: Angry Birds & Hasbro – More than meets the eye? Welcome to the inagural Angry Birds News Roundup brought do you by @Dr-Omega. These news bulletin’s are designed to offer you a recap of new and interesting Angry Birds and / or Rovio news that may have flown under the radar. Disclaimer: Artist interpretation. 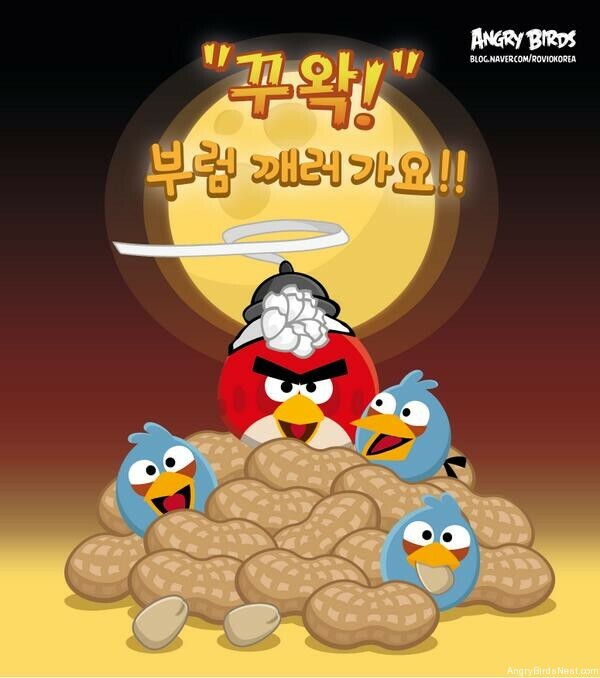 This is NOT an official image from Rovio or Hasbro. We previously reported that the Idle Hands blog obtained a list of upcoming Hasbro products from the UK Toy Fair that included a brief listing for Angry Birds Transformers toys coming in September. This information seems to confirm what was suspected from the previous listings, that these toys will be an update or offshoot of Angry Birds GO!. It is presumed that Hasbro will not release information about this line during Toy Fair and will instead wait for Rovio to make a public announcement first. The September timeframe announced on the Idle Hands blog would put their release not long after the release of Transformers: Age of Extinction, the fourth live action film from the Transformers franchise, on June 27, 2014. However, Rovio has already announced they would release Angry Birds Stella in the fall of 2014, so it would seem unlikely they would release two new games so close to each other. It should be noted that although appearing in different forms on two separate sites, this information should still be considered unconfirmed until we hear further word from Rovio or Hasbro. When asked for comment on Twitter, Rovio did not respond. Unfortunately, despite exhaustive research attempts, the names of the new Stella characters have not been found. Toy Fair runs from February 16 – 19. It is hoped that additional information or images will be released during this time. As always, we will bring you any updates, as they come. In other toy news, Giromax announced a line of Angry Birds GO! Clay Buddies kits that let you assemble various GO! racing karts. Check out the story and picture here. In entertainment news, it was reported that Rovio has chosen Sony Pictures Imageworks in Vancouver, British Columbia, Canada as the primary animation studio for Angry Birds the Movie. The film has a July 1, 2016 release date and will be directed by Fergal Reilly and Clay Kaytis. Read the full story on Variety here. As a reminder, there are two weeks left to play Angry Birds Star Wars on Facebook. So enjoy the tournaments while they are available. Lastly, flingers in many countries celebrated St. Valentine’s Day this week by playing the Angry Birds Friends special Valentine’s tournament. In South Korea, they also celebrated Jeongwol Daeboreum (“The January Big Full Moon”), the first full moon of the Lunar New Year. One of the traditions of this holiday is to crack open peanuts, walnuts or chestnuts ( referred to as”bureom”) using your teeth and then eat them. Special thanks to Pigineering’s D.H. Kim (@DH-Kim) for translation help and information. Nav: Home »News » Angry Birds Stella News & Updates » News Roundup: Angry Birds & Hasbro – More than meets the eye? So is there a possibility of an Angry Birds Transformers game in the making?? I seems so. I would imagine, based on the information, that it would be an update or offshoot of Angry Birds GO!, using the Autobots and Decepticons as racing karts. A spinoff. A separate game using the same mechanics, but different look is what I was inferring. I for one hope it is more than that, but I guess time will tell. @birdleader I guess that’s what we’ll have to do: just wait and see. Wow, lots of stuff. I would definitely want an update to Angry Birds GO!. I have reason to suspect there is one coming sooner than you think.. stay tuned. Is the first photo fake? because the birds are in the bad side of transformers. Good question. I honestly didn’t make the connection, but in some ways there is no good or bad in the AB world (I realize many would disagree with me here). Where did you find this image @dr-omega? I actually created the Transformers logo images in Photoshop just for this news post. 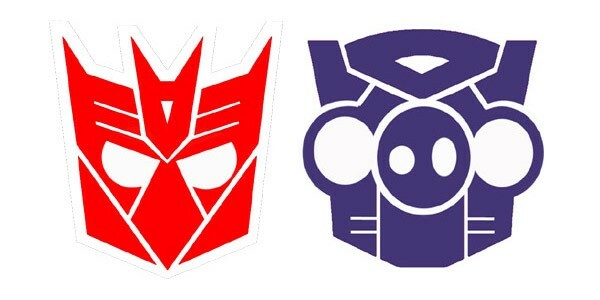 Or rather, I modified the proper Autobot and Decepticon symbols to resemble a Bird and a Pig. I swapped the color because the Decepticon logo just lent itself to a bird shape naturally. I’ll be a 33 year old woman, sitting in a movie theater, watching the new AB movie. How did you see the movie if the movie is coming in 2016? @LaurenM aka @thislilpiggy won’t get notified of your question unless you @mention her. In any case she hasn’t seen the movie yet, but will be ready when it comes out. Her statement is in the future tense: I’ll be = I will be. Sorry that English is so difficult a language. And I didn’t @mention you @lovableleaf @lovable-leaf907! Glad to see there will be additional telepods and probably levels to go along with them in GO. About half way through the game (in Rocky Road) and it is a lot of fun. This game can go on for years like AB original. This RoundUp is informative. Nice work at play @dr-omega. 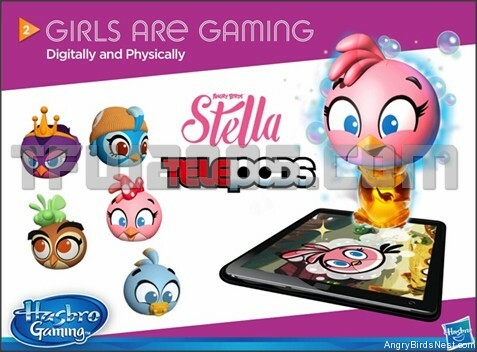 What’s the sense of the new Stella telepods now, when the game will only come in fall??? The Stellapods are coming in the fall as well. They are only displaying them now at the Toy Fair in New York where toy manufacturers display their upcoming products. Rovio confirmed in December that there would be 4 Rio 2 updates to the game. We’ve seen one already with Rocket Bird (Chuck). This will be the second. Gaah! Not more of Rocket Bird! But maybe he’s only in the episode that was already released? Pretty sure he is only in the one.. But you never know..
AB Go getting lots of updates. Didn’t start playing fully yet. Maybe I should. My inner brony is squeeing. Wait, wait, wait. If the birds are Decepticons and the pigs are Autobots, which are the good guys, does this mean that it’ll be a Bad Piggies update? Hope so, since the game hasn’t been updated for a very long time. They could’ve even just released a Valentines chapter just like how they did with Halloween. The Pigs are the protagonists in Bad Piggies, while the Autobots are the protagonists in Transformers, so it could really mean that the Pigs are the good guys for a change. Woohoo. The logos were just something I made in Photoshop. I used the Decepticon logo for the birds because it already has a beak. Don’t read any more into it than that. I’m pretty sure the Birds will side with the Autobots in the game. I also agree – Bad Piggies needs a new update. I saw you asked about Stella, but I can’t seem to find the post. Stella will actually be coming out in the fall, not the summer. I doubt there will be a countdown app. I think the only reason they made one with GO! was because the Telepod toys all had the wrong release date on them. I’m not sure why the game didn’t come out on that date. They might have not been ready or needed to make last minute changes or maybe Hasbro just had the wrong date all along. Regardless, there is still around 7 months for Stella,so plenty of time for Rovio to work out any bugs. Hmmm…Angry Birds Transformers….I’d rather buy a classic Angry Birds themes with the Transformers, then an update for the Go!, cause if they end up as racing karts they will cost a fortune! And now the proper karts are quite expensive, and the game is played just because there are our birds and pigs, other then that there are way better racing games, but no game could compare with classic AB!